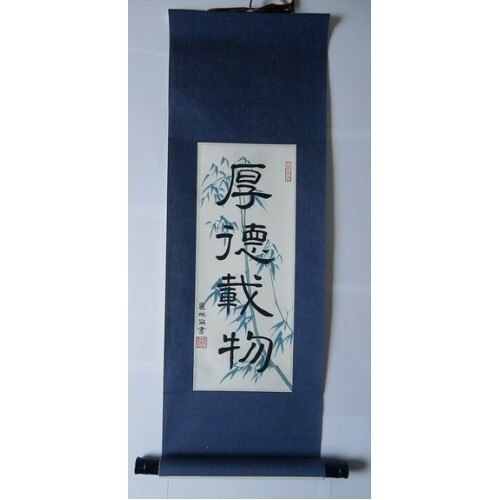 This Chinese proverb calligraphy scroll espouses the virtue of integrity. It is a reminder to business men and women everywhere that there are more important things than making money. 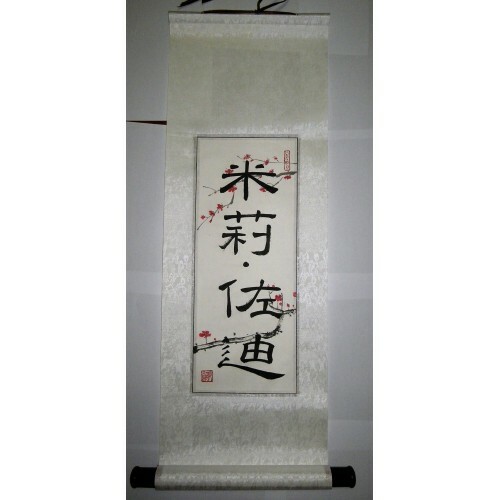 A person's word should be kept no matter what the cost. And if you deal honestly with others, your business will prosper. 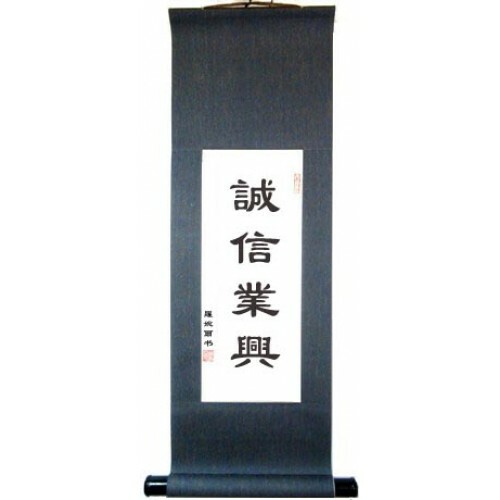 This scroll about integrity is an excellent choice to hang in your own place of business to remind yourself and your customers that you are going to do business the right way.